My dear husband uttered those words recently as he and I were talking with a sister in Christ about the uncertain place in which we now find ourselves. As I listened to Kevin’s words, my heart went out to him. I knew those words were heart wrenched and coming from a place of concern over what lies ahead of us. Not that any of us ever know what the future holds, but I can’t remember a time when ours has ever looked so uncertain and unknown. After the above conversation, I was walking into a grocery store, and I noticed that I was getting uncomfortably close to the automatic glass front door, and it still wasn’t opening. In my impatience, I began to wonder if the store was closed or if the door was operational. Just as it looked like I would crash headlong into the closed door, it opened, almost as if it had been on some sort of delay. Whatever the mechanical explanation for the unusual hesitation, I soon knew that the real reason it occurred was that the precious Holy Spirit was providing an object lesson to build on Kevin’s words that were still fresh in my mind. I realized that if the door had opened before my next step, it would have served no purpose to me. I couldn’t walk through it until I got there, anyway. In my desire for things to be all neatly laid out in front of me with no hiccups or hesitations or plan alterations, I wanted that door to be standing wide open far before it actually needed to. Even though I was not close enough to walk through it, I wanted to know that it was open. Silly me. I am always trying to figure out God’s mind, trying to contemplate not just His next step, but next several steps in front of me. I want a flashlight to shine up around the next bend in the road, up the staircase in front of me—I want to see the door and know that it is open and that I will have no problem walking through it. Silly me, indeed. I should know by now that God does not work the way I think He should. As high as the heavens are above the earth, so far apart are His thoughts and mine. (Isaiah 55:8,9) I cannot put Him into a box or neatly-wrapped package that will suit my preferences. Why would He open a door when we are not even close enough to walk through it yet? What good would that do? 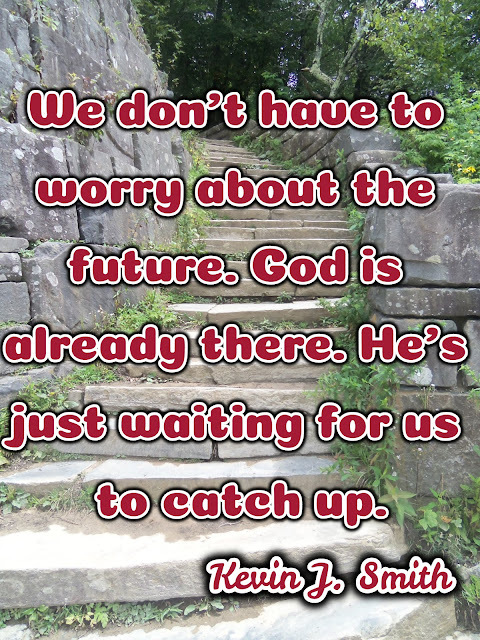 God has His own timetable, and His plans stretch from the beginning to the end of our lives. God is in control of the doors in each one of our lives. He sees every door in our future. God determines whether or not a door should open or close, and if it is a door we are to walk through, He decides WHEN that door needs to open. He directs our steps leading up to that door, and when we catch up with Him and get there, He is the only One who can open it. 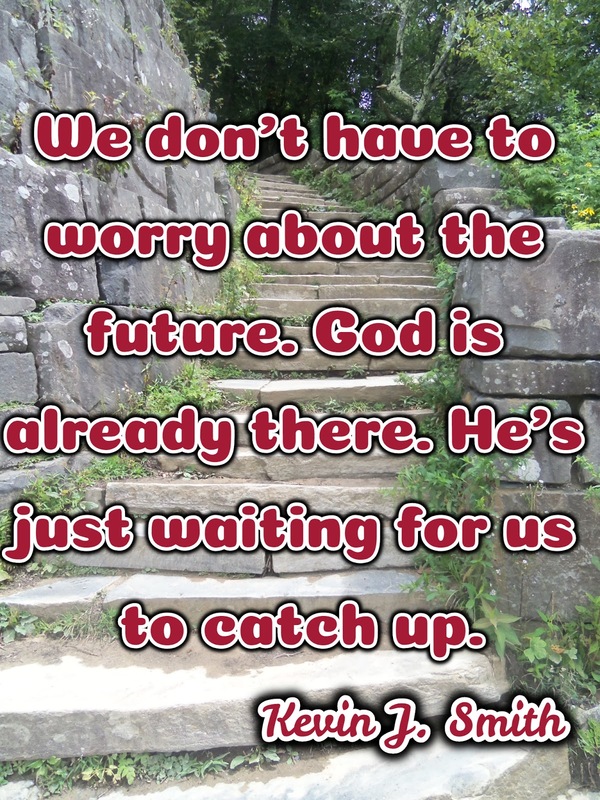 If we saw everything ahead of us and knew how and when God would provide and take care of us, why would we need faith? For as long back as I can remember, we sang the song, “Living By Faith” in church. I sang it right along with everyone else, but I don’t think I have ever really understood what it truly means until now. I wanted to share the words here today for anyone who may find themselves in an unfamiliar place with safety nets removed and no visible plan or open door ahead of them. This, my friend, is what living by faith really means. May the dear Lord encourage the heart of each person who reads this.